This week I am mostly decorating….. (our bedroom) As usual it’s taking far longer than I expected and I just want to do the fun bits so I thought I’d put them on here while I have a break from painting. I’m kind of cheating a bit by putting together a sample board as I go along but sometimes it’s easier that way and I can because it’s for me. I haven’t based it on a mood board but on a wallpaper I liked. Amara is a wallpaper from John Lewis which is a ‘folk inspired floral pattern in an illustrative style, with accents of vivid citrus’. 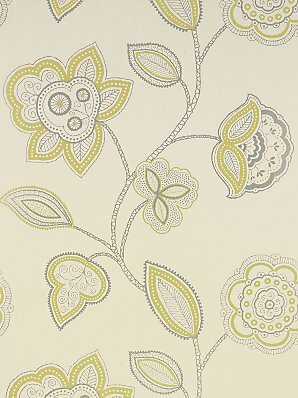 This will go on a feature wall behind the bed with the rest of the walls a pale gooseberry fool green colour. 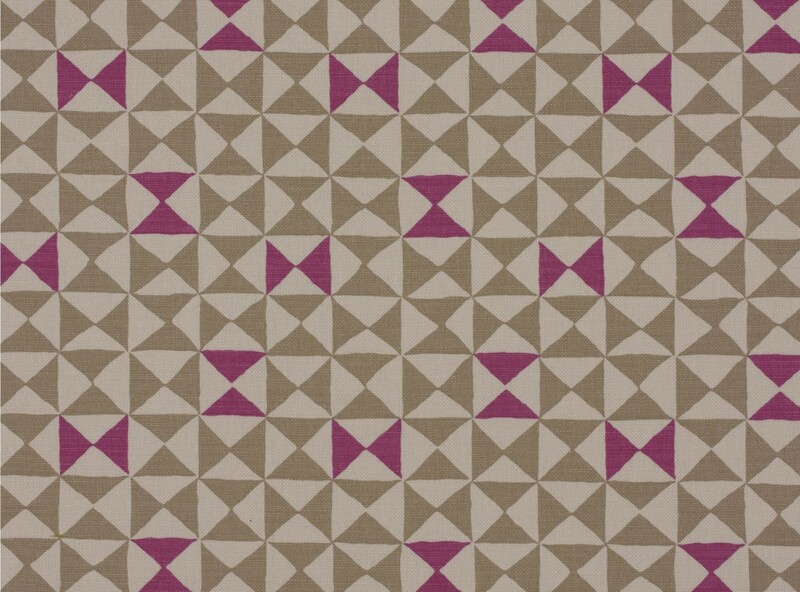 I’m going to make cushions next week and I’m probably going to go for this Romo fabric from their Casson collection. It’s a 1950s inspired geometric print (see, I told you they were in at the moment). 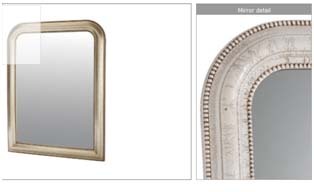 I’ve bought an ivory mirror from Laura Ashley to go above the fireplace. At the moment I’m thinking about painting the woodwork an ivory colour too but not quite decided yet. Design for a Museum Cafe – the 1950s are very in you know!